a. Lubrication： The lubricator runs via lubrication time after power-on. 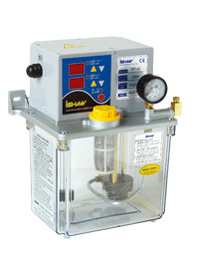 b. Intermittence： The lubricator runs via intermittent time after power-on. c. Memory： The lubricator runs via the previous set after power-on. Lubrication and intermittent time can be adjusted. Lubrication time (second/minute) and intermittent time (second/minute/hour/cycle) are adjustable. The intermittent period can be adjusted via the machine’s action cycles. Pressure switch is an option for YET-A2P2. 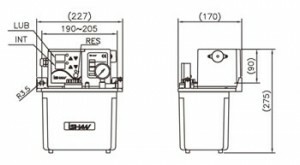 “RES” key can force the lubricator to function.